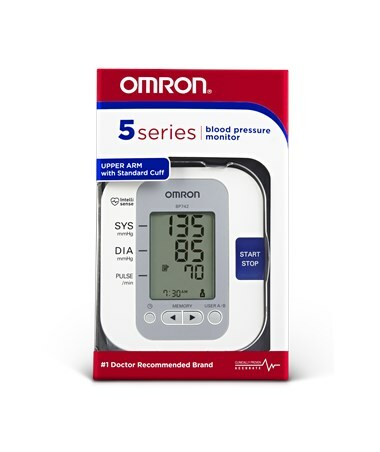 The Omron 5 Series™ Home BP Monitor is an upgraded version of the highly acclaimed 3 Series™. 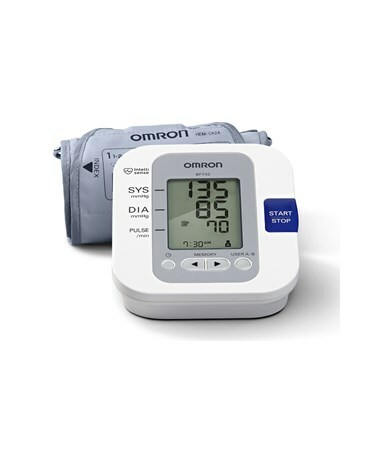 It has all the features you need in a home BP monitoring unit. The simple one button design makes the system very user friendly. Just apply the cuff and press the button. The device automatically inflates, takes your pressure and heart rate, clearly displays it on the screen, and automatically deflates. 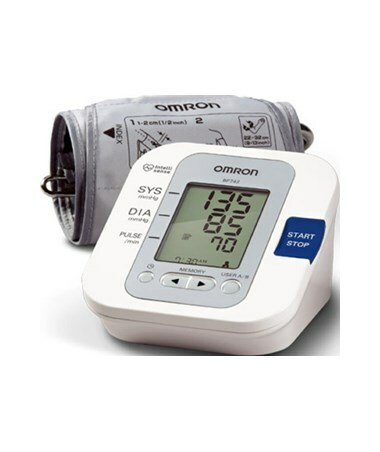 The 5 Series™ BP Monitor features the irregular heartbeat indicator of its 3 Series™ predecessor. In addition, this monitor features a hypertension indicator. 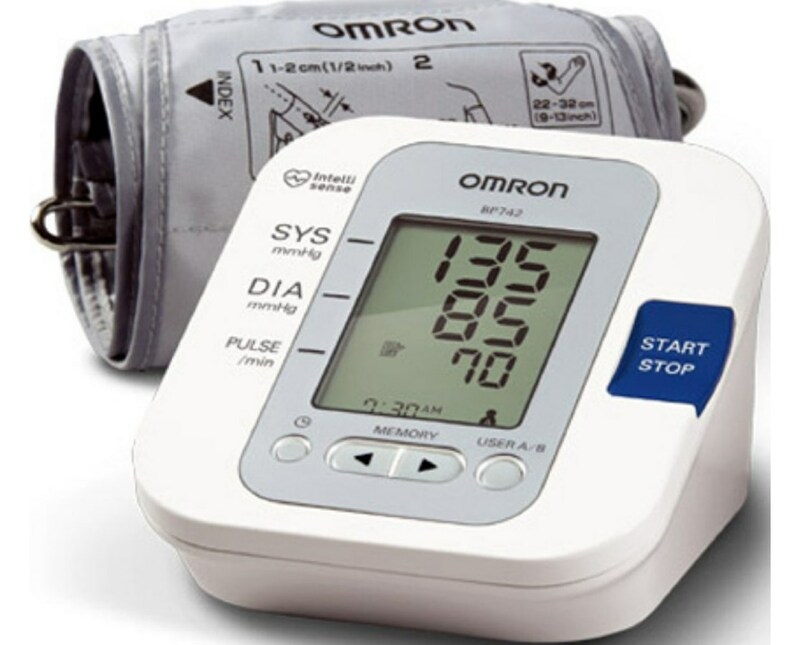 If your blood pressure is considered too high, an indicator flashes alerting you to have a talk with your health care provider. The 5 Series monitor also features an expanded memory. It can store 60 readings for two different users. No need to purchase a second unit for a spouse or sibling. The pressure reading is stored with a date and time stamp for easy tracking of measurements. The system also features an auto averaging function. It automatically averages out three readings to improve accuracy. This product comes with a 2 year warranty on the device and 1 year on the cuff.